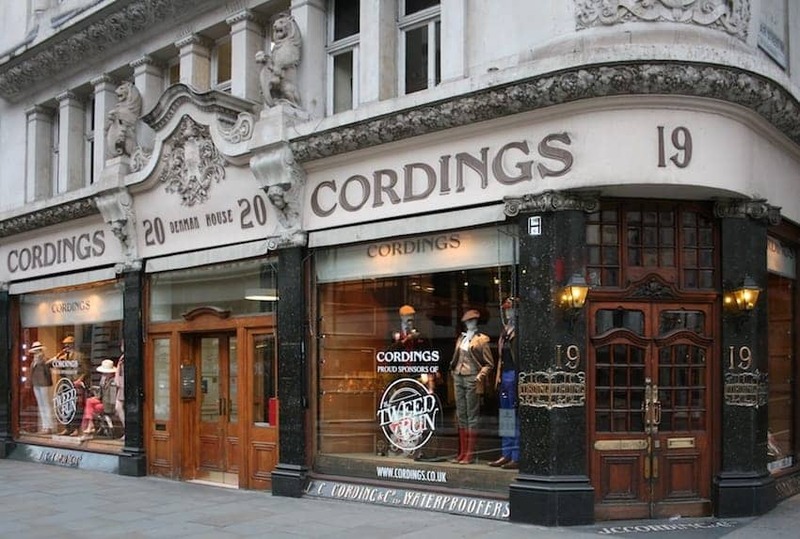 Originally on The Strand and subsequently Piccadilly since 1839, Cordings was the place city gentlemen would go to be kitted out for the countryside and travels abroad. The waterproof rubberised Macintosh is still made in Scotland for the Cordings collection. There are many other iconic items synonymous with this famous countryside brand such as the Covert Coat and Tattersall shirt and there is also a ladies collection. The original oak doors and staircase are still in situ at this atmospheric store. A second store has opened in the Late Victorian Westminster Arcade in Harrogate.